Taken a week ago last Sunday. Angus MacLeod as the Spirit of Mark Twain in “Dark Twain” (A one-man show utilizing the darker writings of Mark Twain, with a few other anti-war, anti-imperialist types thrown into the mix for good measure). Performed at the Coffee Shop at Wildflower Village on 4th Street. 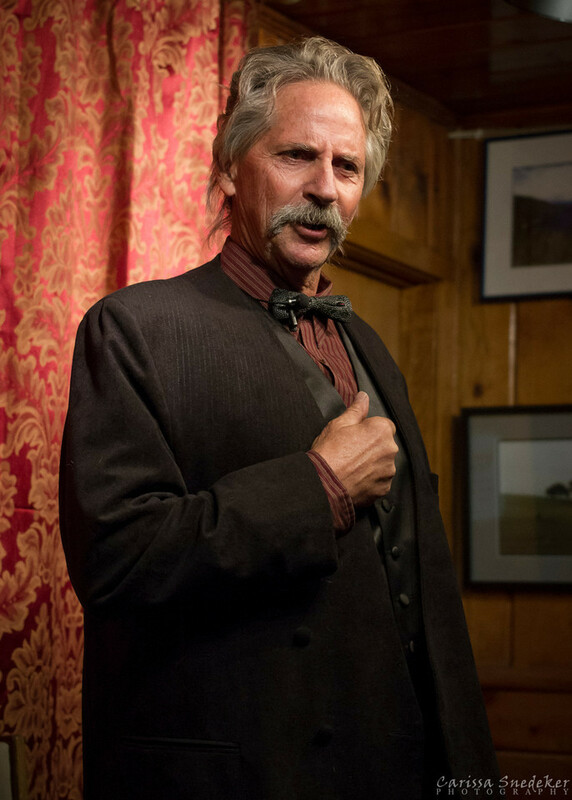 This entry was posted in People, Portraits and tagged acting, actor, arts, local artists, Mark Twain, Nevada, Reno, theater, Wildflower Village. Bookmark the permalink. He needs more hair and a bigger mustache . . . also needs to put on a few pounds. Starving actor. Whaddya gonna do? That looks like natural lighting (spotlight?). Did you hand-held, or use a tripod? Handheld. Used my 40mm pancake lens at 800 ISO, f/2.8, 1/200s. Love this Carissa! The colors and lighting make it look very vintage. It was a neat venue, and they lit him well. I was fortunate enough to take advantage of what was presented me.